Who knew that adult coloring books are kicking knitting to the curb as the latest relaxation tool. And when you color in mandalas and symbols with your favorite chakra colors, you’re in a meditative mode that also helps balance your chakras. Here’s a preview from my upcoming CHAKRA COLORING BOOK. Coloring is a wonderful stress buster, a meditative art that quiets your busy mind and lets you express your creativity at the same time. It provides mindful calm as you rediscover the simple relaxation and joy of coloring! And when you put your focus on the colors of the chakras, the stress affecting your chakra energy is released and you can move into balance. What color(s) are you most drawn to? Print out the drawing below, then use the colors of the rainbow to color the Hindu chakra symbols and all the line art surrounding them. Feel free to add your own doodles. In addition to relieving stress, want to know another benefit of taking your colored pencils, crayons or fine tip markers and filling in the line drawing? 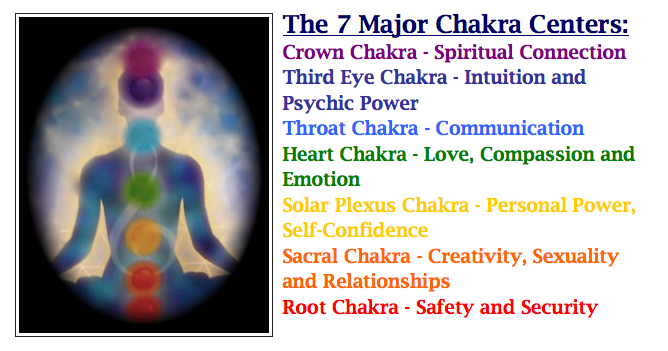 When you look at your major color choices, they’ll reflect the colors of the chakras you most need to nurture. Why do you think there is so much news lately on adult coloring books? The use of colors, plus more? I think with the heightened stress people are feeling, they are looking for more ways to relax and quiet their minds from their usual routines. Adult coloring books offer a chance to lose yourself in art without having to be an artist. 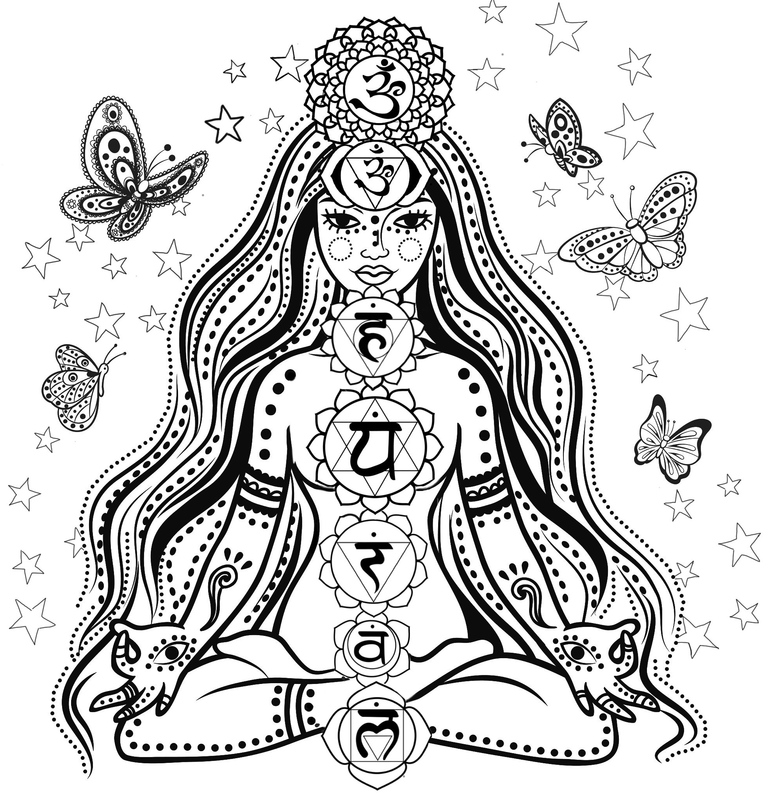 I LOVE your coloring page, but I think your ajna symbol is incorrect. It looks to be sahasrara. Thank you for the page to color! Thanks for pointing this out. While the same Hindu symbol signifying the end of duality is used in this drawing for both the Third Eye and Crown Chakras, for the Third Eye or Ajna Chakra, it is surrounded by a lotus with two petals. I’ll check it out further before going to the publishing stage. Namaste!